Since I took a Encaustic Portrait Painting Workshop from Francisco Benitez about a month ago, I had become intrigue with painting realistic paintings in encaustic. It’s basically glazing. Fusing one layer of wax with another layer of wax. So here’s the second painting, this time much smaller. It’s only 2 1/2 x 3 1/2 inches. 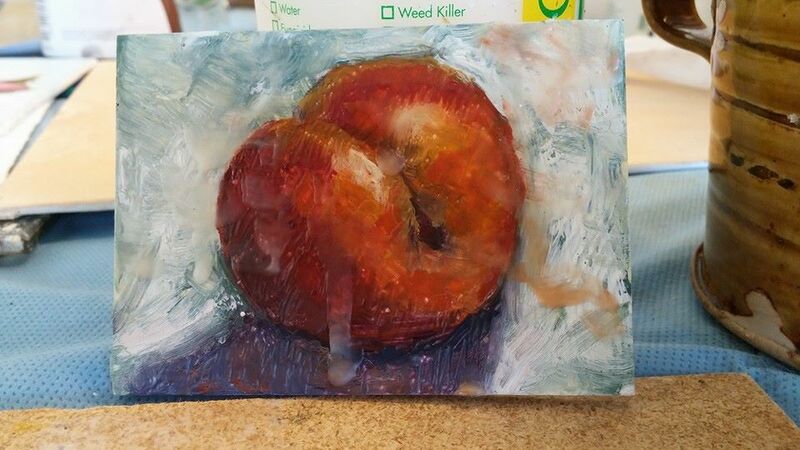 The first painting I will post later with more details on how I work with encaustics.